Call me oblivious, but last week when we planned to go to Disneyland, neither E or I had any idea it was MLK day. E always has off on Mondays (no class) and I was just taking the day after a crazy week. We realized this on Sunday and debated going to D-land at all, since we were really looking forward to a quieter day there (as it would have been on any other Monday in mid-winter). We decided to go anyway. E is a D-land genius, so despite it being insanely busy with people off of work and school, we were able to keep our line waiting to >20 minutes at every ride. 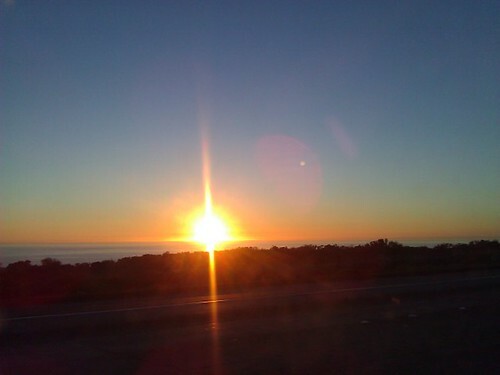 We left our house at the crack of dawn and got there just as it opened. First headed to Tomorrowland where we grabbed a FastPass (which is the best invention ever) to Buzz Lightyear and then got in line for Space Mountain. While there, E noticed that Captain EO had returned, in tribute to Michael Jackson. 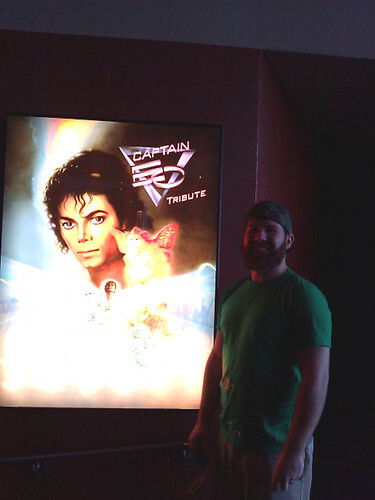 He's a big MJ fan anyway, and loved Captain EO as a kid, so this was a highlight. E and I both love Fantasyland and we hit up all our favorite story rides: Pinnochio, Snow White, Peter Pan and Mr. Toad. Picked up a funnel cake and espresso from the French market in New Orleans square and got in lines for Pirates. I forgotten the two drops in this boat ride and E and I got splashed sitting in front. I would have been annoyed if it wasn't such a perfectly warm day! 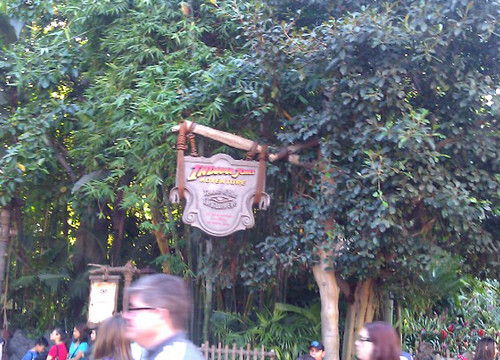 Then we were able to Fastpass Indiana Jones (always insane lines!). I am amazed that people could tolerate 45-60 minutes waits for a 5 minute ride. Right next door is Tarzan's Treehouse. I've never climbed up, so we did. I allowed myself a brief moment of daydreaming that we had a little one (or two) and how much fun they'd have up there. 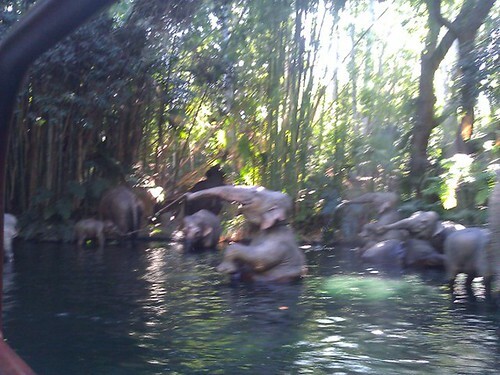 One of the best slower rides, IMO, is the jungle cruise. The guides have a really hilarious and corny script. We bust up laughing every time. 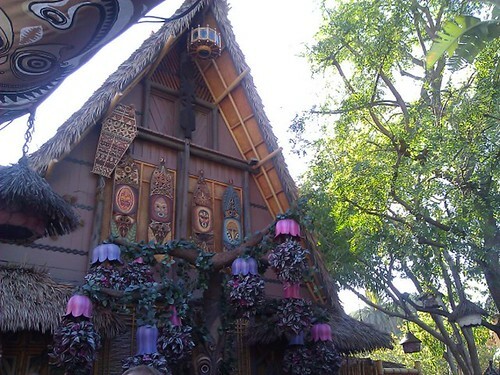 The Tiki Room. It's amazing how despite what has changed between E and I in my first D-land visit to now, the Tiki room was exactly the same as it was 3.5 years ago! We always have a late lunch at the golden horseshoe while watching Billy Hill and the Hillbillies. Chicken fingers and fries always hit the spot after walking all day! We left in the early evening to have some time to recover before going to back to work/the books. Are you a fellow Disney fanatic? What are your favorite rides? It looks like you guys had an amazing time!! I was at Disneyland a longggg time ago, and only remember being terrified of the Star Wars ride/attraction.. do they even have that there? I'm probably imagining things, lol. 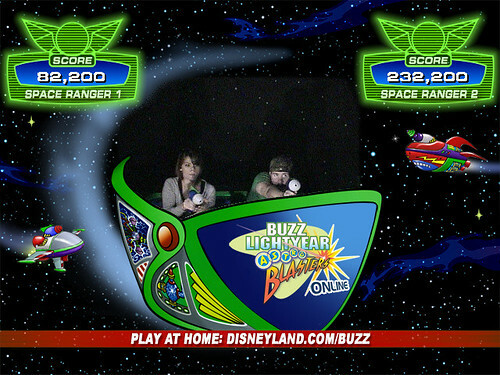 The only time I've been to DisneyLand was when I was a baby, but we went to DisneyWorld for our honeymoon last year, and they seem to have similar rides. 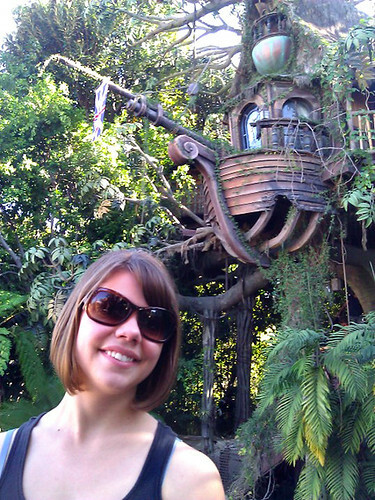 I also really liked the jungle cruise. It was relaxing (which we TOTALLY needed at that point) and silly. My other favorite was Mission Space - though I did get a bad headache from that point until we ate lunch, and Pirates of the Caribbean (I hear the California version is much nicer though). Glad you had a great time despite the unanticipated crowds! Looks fun! 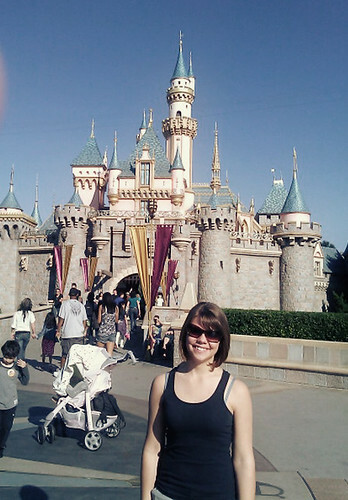 I haven't been to Disneyland in about 10 years but I really want to go back. The place I work at is holding a conference about a mile from Disneyland in September so I'm hoping to take a day and go visit!! 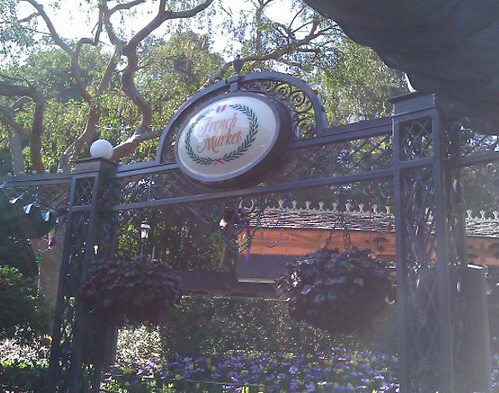 the main reason i go to disneyland is for the food, the churros and dole soft serves (by the jungle cruise) and the kabobs (also by jungle cruise), chocolate covered bananas (just to name a few)... i miss that place! Looks like you had a great time!